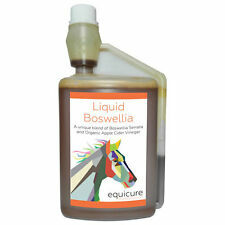 Liquid Boswellia is aUnique Blend of Boswellia Serrata Concentrate and Organic Apple Cider Vinegar. Liquid Boswellia is equivalent to 30g of our standard Boswellia Serrata Powder, with the added health benefits of Organic Apple Cider Vinegar. Ohne Konservierungsstoffe. ohne künstliche Farbstoffe. Vom Achterhof bietet Dir Tee, Gewürze, Trockenfrüchte und Nahrungsergänzungen – und das Alles aus einer Hand. Aber was und wer ist vom Achterhof überhaupt ?. 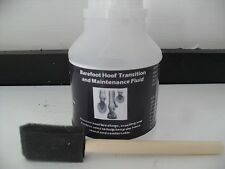 Protects and hardens the molecular structure of the hoof and sole to help keep the horse comfortable and sound. Our Pure Boswellia Serrata Powder is 100% natural with no fillers or additives;. Boswellia Serrata (aka Indian Frankincense) is a natural product that can benefit a horse's musculoskeletal, respiratory and digestive systems. Attractive coloured 650gm likit in a delicious new flavour Apple Pie & Custard for use with boredom breaker and likit holder. We will always help you to have a 100% positive happy buying experience. Pro-Equine Colikare is highly palatable and provides fast relief to horse colic. Spring lush grass or bed eating are a few causes for creating an uncomfortable bloated stomach. Colikare works fast to disperse gas and relax stomach muscles. BIZZY BITES REFILL - APPLE NEW FLAVOUR . When used in conjunction with the toy, it also spins making it even more challenging and entertaining. Very tasty to horses and loved by 100% of equine testers. Seabuckthorn has an amazing profile of anti-oxidants, vitamins C, E and A as well as a number of B vitamins, including folic acid and B6, amino acids and minerals. Liquorice extract has anti-inflammatory, anti-spasmodic and anti-ulcer properties. Stud Muffin Celebration Cake. Each cake is carefully wrapped in special Stud Muffin greaseproof paper and presented in an attractive box. We will always help you to have a 100% positive happy buying experience. Vom Achterhof bietet Dir Tee, Gewürze, Trockenfrüchte und Nahrungsergänzungen – und das Alles aus einer Hand. Aber was und wer ist vom Achterhof überhaupt ?. Seit der Gründung haben wir uns. gerecht zu werden. Vom Achterhof bietet Dir Tee, Gewürze, Trockenfrüchte und Nahrungsergänzungen – und das Alles aus einer Hand. Aber was und wer ist vom Achterhof überhaupt ?. Alle unsere Produkte sind gerecht zu werden. 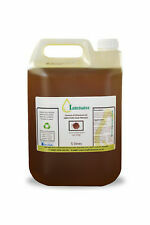 Linseed Oil, is obtained from the gentle cold pressing of the dried ripe seed of the flax plant. Any imbalance can affect the general well-being of your horse. Synonyn: Flaxseed Oil, Raw Linseed Oil. Sie kaufen hier 1 kg Urjuwel BIO Hagebuttenpulver. Warum Urjuwel Hagebuttenpulver?. Our 100% pure Soya Oil is refined using traditional techniques to improve the overall quality and stability. Soya oil is extracted from soya beans and it is a valuable source of essential fatty acids and is rich in lecitin, amino acids and vitamins A,B and E.
Pippa Funnell. 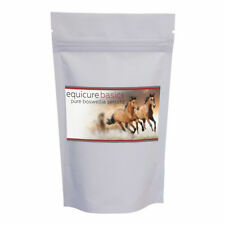 High Strength Equine Cortaflex Powder with Hyaluronic Acid and Super Fenn. 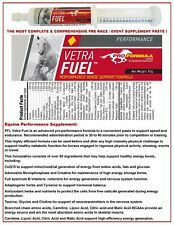 Ideal for horses which are competing or in hard work. Can be fed permanently or as a kick-start before maintenance on Equine Cortaflex Powder. Classic plastic salt lick holder. Holds any standard size 2kg salt lick. We will always help you to have a 100% positive happy buying experience. Add to Favourites. Vom Achterhof bietet Dir Tee, Gewürze, Trockenfrüchte und Nahrungsergänzungen – und das Alles aus einer Hand. Aber was und wer ist vom Achterhof überhaupt ?. gerecht zu werden. Seit der Gründung haben wir uns. Pony (up to 400kg) 15. Conditioning •Flexibility • Pain Relief •Cushing’s Care • Liver Support. there should be no compromise on quality for you or your horse. Suitable for all levels of activity, whether your horse is. 'A' Grade GARLIC Powder 6KG Bucket. - 6KG Bucket -. Finely Ground GARLIC Powder made 100% Fresh & UNBLEACHED. GARLIC Powder contains Naturally Large quantities of Natural SELENIUM & SULPHUR, is used as ANTI INFLAMMATORY as a ANTI SEPTIC and ANTI BIOTIC properties. Vom Achterhof bietet Dir Tee, Gewürze, Trockenfrüchte und Nahrungsergänzungen – und das Alles aus einer Hand. Aber was und wer ist vom Achterhof überhaupt ?. gerecht zu werden. innerhalb von 24 Stunden. Valerian (Valeriana officinalis): Many studies have shown Valerian to be a powerful, non-addictive and anti-spasmodic nerve relaxant, sedative, and pain reliever. Its actions are due to its calming and balancing effect on the central nervous system. To Feed (horse): Allow 2g of Magnesium Oxide per 100kg of weight. Mix the powder in with your normal feed. MAGNESIUM OXIDE – 98.3% Pure Animal Feed Grade. What is Magnesium Oxide?. How I do use Magnesium Oxide?. Shires Strong Extra Extra Large 50" Haynet Hay Net Small Mesh Holes 2"
Arthritis /stiff Joints for horses, humans, dogs. One syringe contains sufficient paste to treat one 1,250 lb. (200 mcg/kg) body weight. body weight. Make sure the horse's mouth contains no feed. Insert the syringe tip into the horse's mouth at the space between the teeth. eltabia Flohsamenschalen Pulver aus Indien Maxi Pack (1.000g) Unsere Flohsamenschalen sind schadstoffkontrolliert mit Analysezertifikat. Flohsamenschalen gelten als sehr gesund, bereichern eine vollwertige Ernährung und können bei Reizdarmsyndrom und vielen anderen Beschwerden rund um den Magen-Darm-Trakt, helfen. Außerdem werden Flohsamenschalen immer häufiger als Unterstützung zur Gewichtsreduktion empfohlen. Durch ihre wertvollen Inhaltsstoffe und die hervorragende Verträglichkeit lassen sich Flohsamenschalen vielseitig einsetzen. Der Reinheitsgrad variiert je nach Charge/Verfügbarkeit zwischen 95% und 99%. 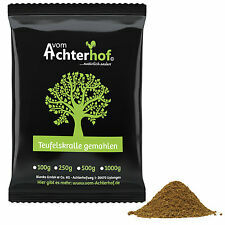 Zutaten: 100% Flohsamenschalen Verpackung: Wiederverschließbarer Aromabeutel Verzehrempfehlung: 10g Täglich Die angegebene Verzehrmenge darf nicht überschritten werden.